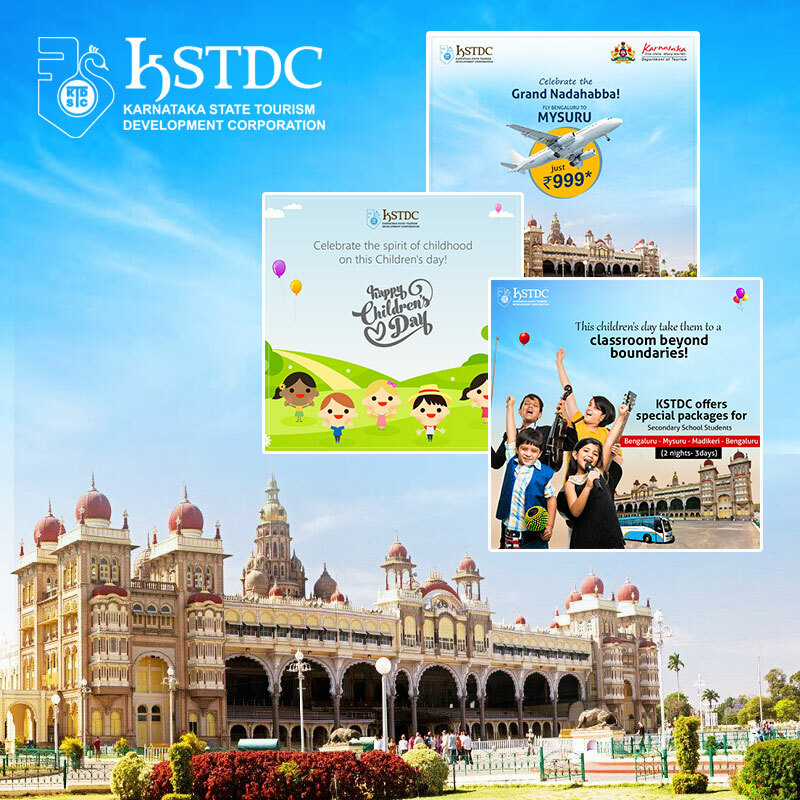 During the Dussehra festival, KSTDC, along with Alliance Air, started budget flights from Bengaluru to Mysuru, with costs starting from INR 999. This campaign was to be promoted through Digital. Mysuru Dasara is a world renowned festival and bring in domestic as well as foreign visitors every year. The communication needed to be sent out within a very short period of just 2 weeks before and during the festival. The stakes were high as there was a risk of the Flights not getting booked and could have incurred huge losses. Optimised paid promotion throughout the Social Media Platforms- Facebook, Instagram, Twitter. Content Strategy that included visuals, copy, gifs and animated mini videos. Scheduling were synced with time slots that were researched based on the festival and their proceedings. More than 140,000 people were reached. More than 15,000 people interacted through likes, shares and comments. The campaign was so successful that it was decided to extend the ‘Akash Ambari’ flights beyond the previously decided Dasara Festival timeline, as a regular flight schedule.